Arachnophobes be warned. 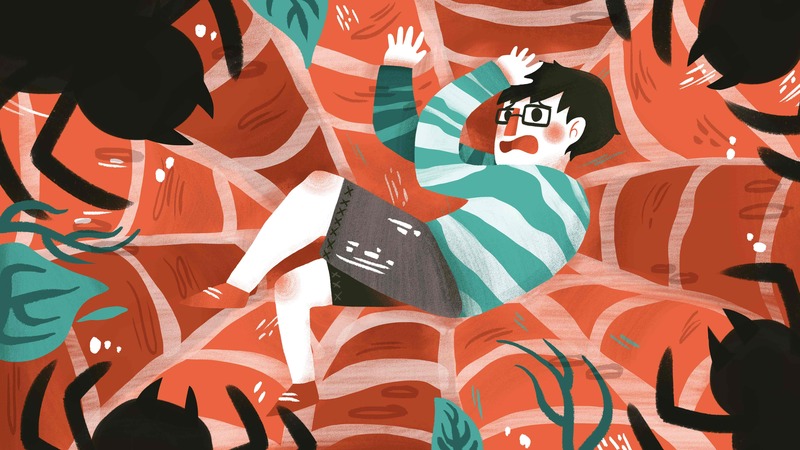 Today’s article is all about our little eight-legged friends. 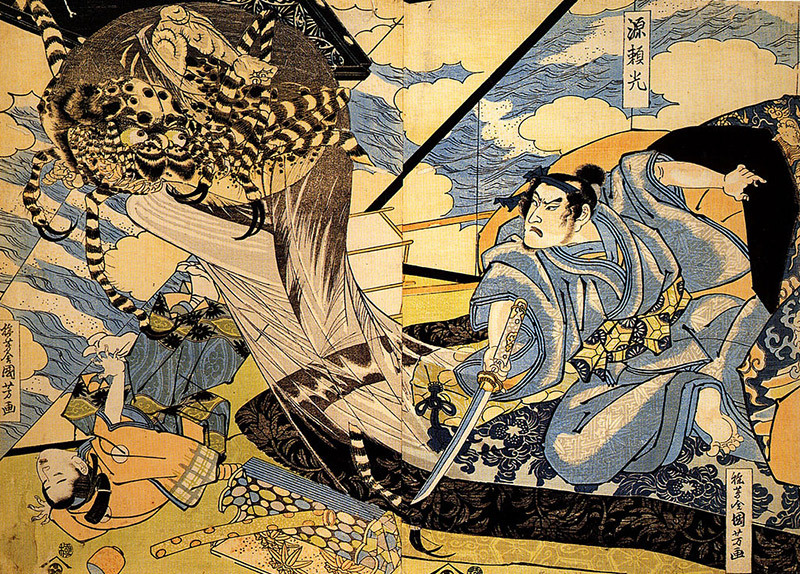 Spiders, and monsters inspired by them, have held a place in Japanese culture for centuries. 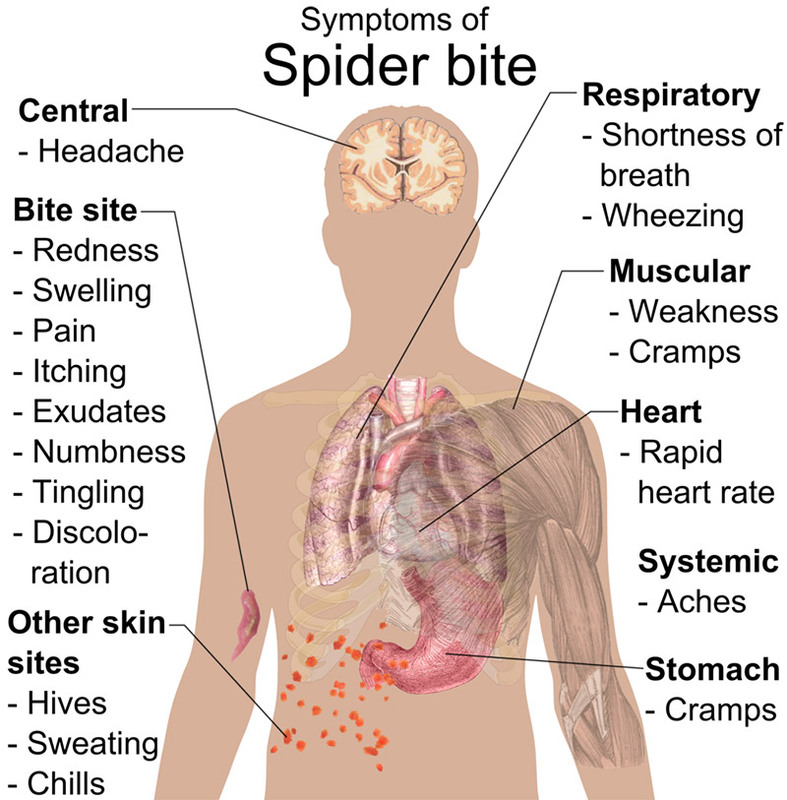 Japan is also currently dealing with the problem of a spider species from abroad. Meanwhile, a Japanese company has developed a spider-derived technology for the future. Grab your flashlights, and let’s see what we can find in Japan’s nooks and crannies. Tsuchigumo has also been used to refer to groups or individuals in ancient Japan, such as bandits, who used guerrilla tactics. This also applied to indigenous leaders or clans who resisted the Yamato court as it spread and consolidated its control over Japan. Many of these groups lived in hollow earthen mounds and may have used caves as hideouts. There is a lot of ambiguity in the sources and it’s unclear if tsuchigumo was first used to refer to people or the monster. There are no large, burrowing spiders native to Japan, but they may have known of such a species from the continent’s tales of the Chinese bird spider. Still, it’s not known if the behavior of the human tsuchigumo inspired the monster, or if the Yamato felt the name of the monster was fitting for those who defied their rule. 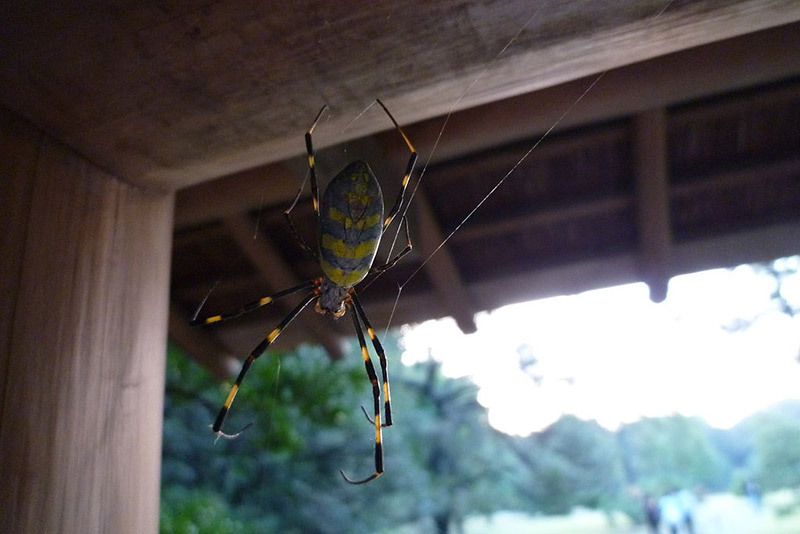 In Japan, the name jorōgumo is commonly used to refer to various species of the genera Nephila and Agriope, but Japanese entomologists use the name to refer specifically to the species Nephila clavata. Jorōgumo means “whore spider,” which may seem like a strange name until you hear the stories that go with the name. 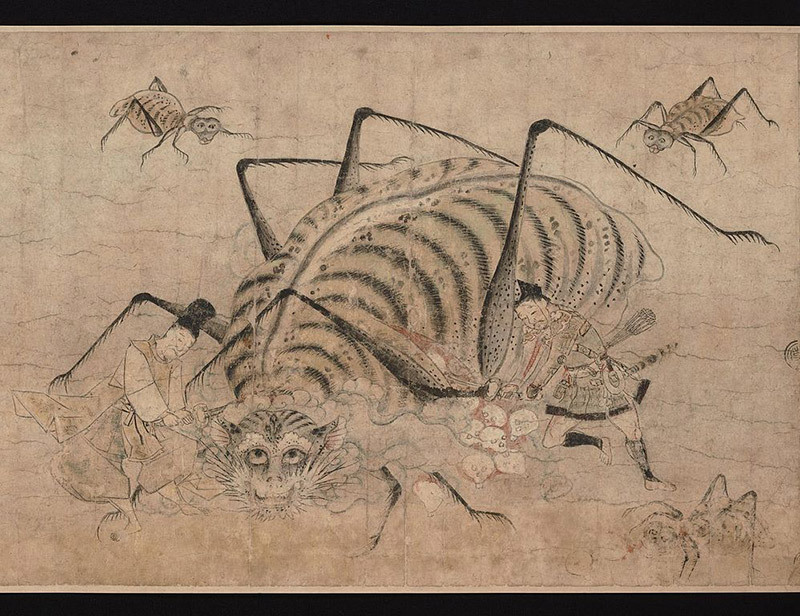 Like the tsuchigumo, it seems the name jorōgumo was used for a yōkai before it was applied to a real animal. 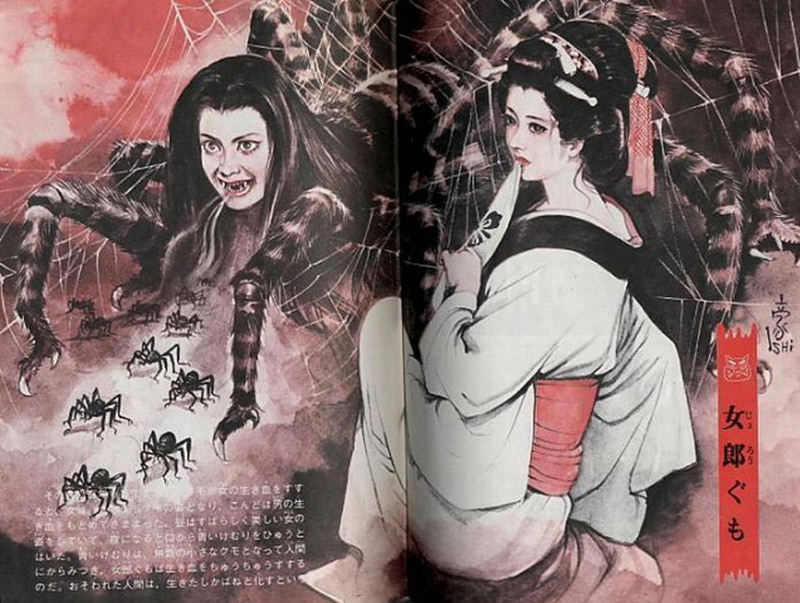 There are a number of Edo period (1603-1867) stories about the jorōgumo. She usually appears as a beautiful woman, but in truth she is a giant spider. She will lure a young man to her secluded home and perhaps entertain him by playing the biwa. While he is distracted, she will bind him in her spider silk, and by the time the victim realizes what is happening it is already too late. His fate as her dinner is sealed. Sometimes the origin of the jorōgumo is said to be a spider that gained magical powers when it turned 400 years old (not bad for a spider). Again, she will take the form of a woman, sometimes to seduce a handsome young samurai into marrying her. At other times, she will appear to be holding a baby, which upon looking closer turns out to be a spider egg sack. Mizugumo literally means water spider, and that’s just what they are. Argyroneta aquatica (AKA the diving bell spider) is the only spider known to spend all of it’s time underwater. 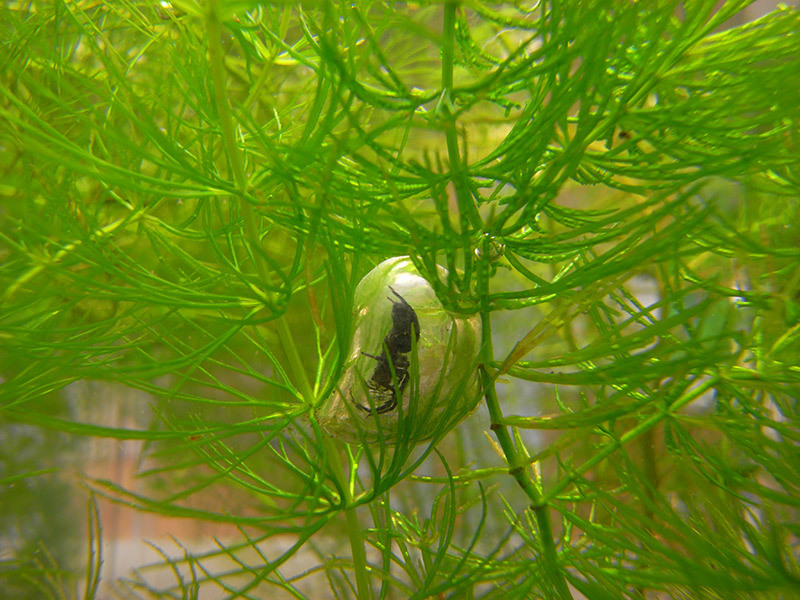 It does this by creating a “diving bell” web filled with air, in which it spends the vast majority of its time. The spiders live, mate, and lay eggs, all within their cozy air pocket. They hunt by darting out to catch prey that strays too close to the bubble. The mizugumo also lent their name to some legendary ninja equipment. 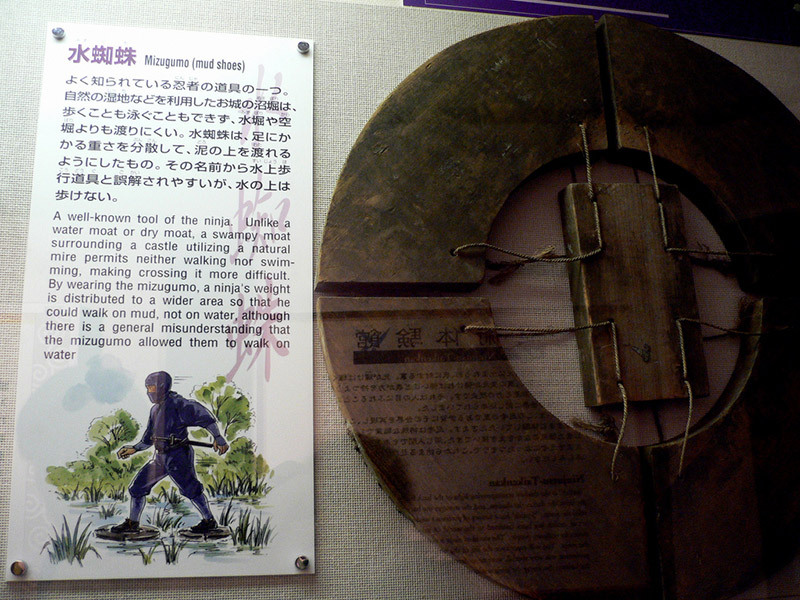 These mizugumo consisted of four rounded wooden pieces making a circle, loosely connected to each other and to a rectangle in the middle of the circle, which was strapped to the ninja’s foot. Perhaps the idea is best described as snowshoes for the water, with the same idea of using surface tension to keep the wearer on top of the walking surface. The Mythbusters actually tested them out once, and concluded that they wouldn’t work for traversing open water, but might have potential for crossing marshy territories or rice paddies. There’s also a mizugumo for the Miyazaki fans out there, though you’ll probably have to travel a long way to find him. The Miyazaki directed, “Mizugumo Monmon,” is a fifteeen-minute animated short, released in 2006, that can be seen at the Ghibli Museum in Tokyo. 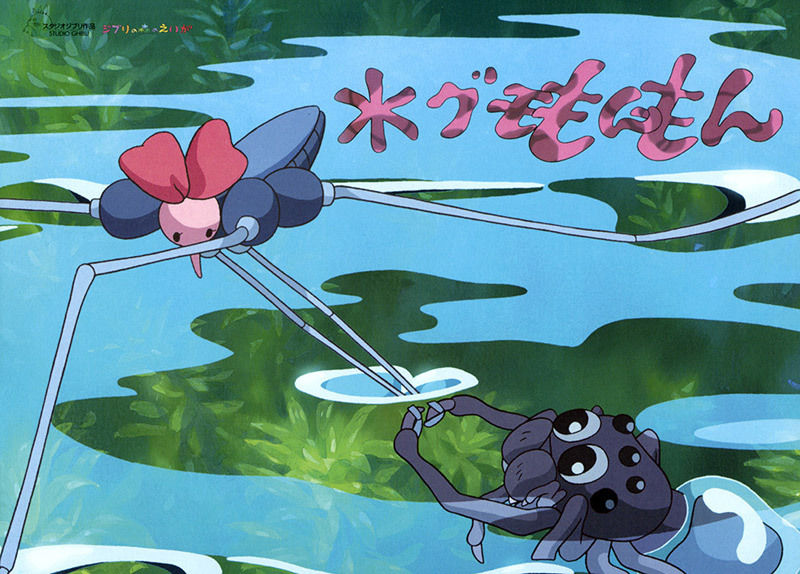 It’s about a water spider that falls in love with a water strider. In Kagoshima Prefecture there is a town called Kajiki where they have an unusual pastime. For over four hundred years people in Kajiki have been raising spiders to fight in their annual kumo gassen (“spider battle”). The spiders in question are Agriope amoena, but are sometimes known to locals as Samurai Spiders. They are raised and trained in the homes of their owners, then compete around June. The tournament consists of one-on-one, round robin matches until there is an ultimate victor. There are referees for each match who judge the winner on the following criteria: the first spider to bite, wrap the other in a web, or in cases where both spiders entered the fight on silk threads, who severed the other’s line first. The refs use their hands to separate the contestants if they get too aggressive, or goad them into action if they aren’t in the mood. In the sources I’ve seen, the locals claim the spiders don’t hurt each other, but I remain skeptical. Until quite recently Japan had no spider species that could be deadly to humans (not counting the eight-legged monsters mentioned above). That changed around 1995, when the first redback spiders were found in Osaka. 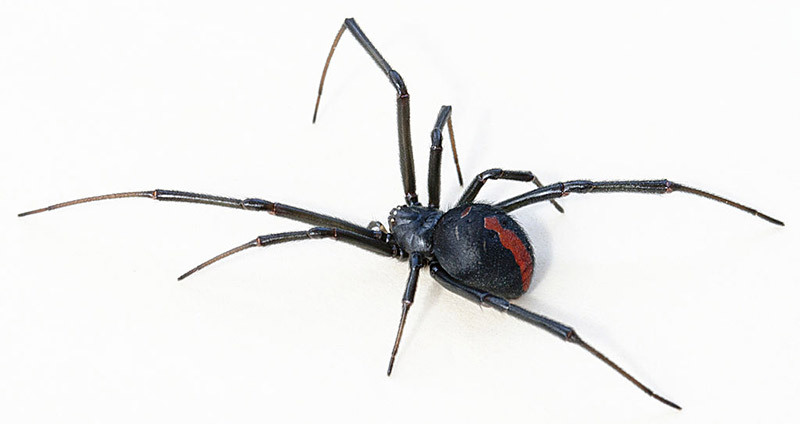 Native to Australia, redback spiders (Latrodectus hasseltii) are in the same family as black widows and their venom is similarly potent to humans: mostly survivable, but occasionally fatal. It’s thought that the arachnids made the voyage to Japan stowed away in cargoes of wood chips. There may have been more than one point of entry. 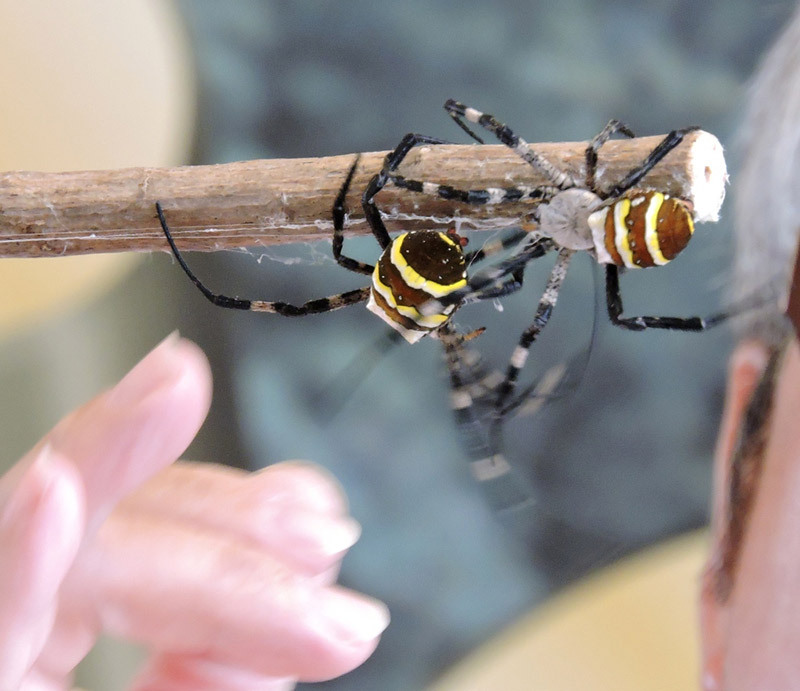 At any rate, the spiders have now been spotted in 22 of Japan’s 47 prefectures, mostly in western Japan. They have spread because of the warm climate and the relatively low number of natural predators. Around 2007 they were seen in Fukuoka for the first time. They were spotted in Tokyo for the first time in September of 2014. There have been a number of bites reported since the redbacks came to Japan, but no fatalities so far. Most big cities are equipped with the proper anti-venom, but smaller towns where the spiders have been seen are not so well prepared. Another factor in the spiders’ spread has been the lack of a cohesive extermination effort from the authorities. Under Japan’s Invasive Alien Species Law, it should be the responsibility of the central government, but they have been concentrating their efforts on protecting areas like national parks from alien species that threaten biodiversity. Therefore, controlling the redback spiders has been mainly left to local authorities, who haven’t planned their extermination attempts very well. 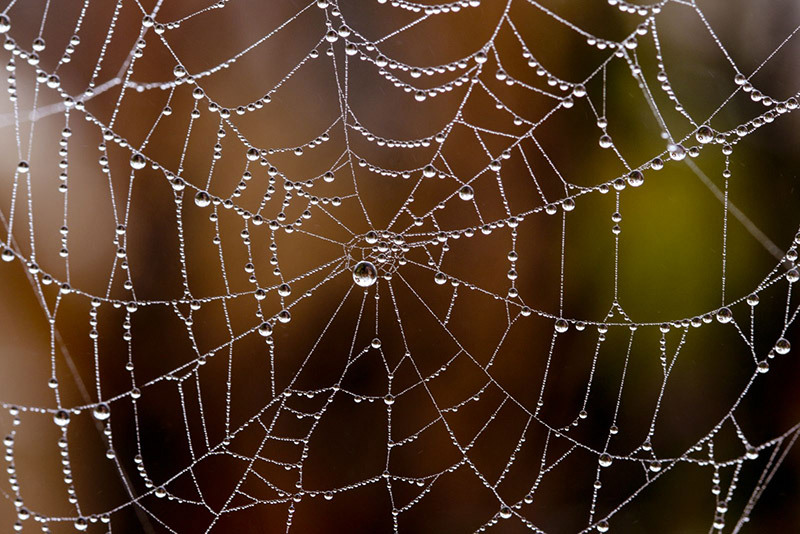 Spider silk is a remarkable material. Scientists have been trying to find ways to mass produce it for years. Spider farming doesn’t work because the spiders would eat each other. People have been farming silkworms for centuries, but their silk is not nearly as strong as spiders’. Therefore, scientists (successfully) attempted to genetically alter silkworms to produce silk like that of spiders, but the silkworms were unable to produce enough of the stuff to make mass production feasible. In 2013, the Japanese company, Spiber Inc., revealed a dress they had made from spider silk. They had managed to genetically alter bacteria to produce the proteins that make up spider silk, and also developed a way to weave those proteins into silk of strength comparable to the real deal. They dubbed the new fabric QMONOS, after the Japanese word for spider web, kumonosu 蜘蛛の巣（）. By 2015, Spiber is hoping to produce ten tons of QMONOS per year from a factory in Yamagata Prefecture. If they are successful, the potential is astounding. Spider silk is five times stronger than steel, but six times lighter than steel of the same strength. It’s also as elastic as nylon and can withstand temperatures up to 300 degrees Celsius. Amongst many potential uses it could be used to make artificial blood vessels, bulletproof vests, and stronger, lighter airplane fuselages. We’ve come to the end of our thread, one that stretches from the monsters of the past to some Spider-man-like tech. If synthetic silk becomes the technology of the future, perhaps spiders can overcome their bad reputation. I think it’s undeniable that spiders strike a powerful chord in the human psyche. For many they inspire fear, but hopefully we’ve come to a point in history where people will view spiders with a sense of wonder and respect.